I don’t know about you guys, but I’ve always experienced tired and red eyes when I wear contact lens for too long. What was even more annoying was wearing unsuitable lenses - I have astigmatism but I was wearing contact lenses for short-sightedness. Well this resulted in blurred vision and I would often experience night glares or haloes especially when I was driving at night. Poor vision is not just a physical impediment, but it also affects my emotional and psychological well-being. One of my 2014 New Year resolutions is to not compromise on poor vision that will affect my quality of life. So, what is Astigmatism exactly? I'm pretty sure a number of you have it and maybe some of you could be wondering what this astigmatism is all about. Basically, astigmatism is a condition that causes blurry vision, light haloes, or double vision. It happens when the cornea is more oval than round. This means light rays cannot focus properly on your retina, causing blurry vision at all distances. In my opinion, it’s very important to correct astigmatism by wearing the right contact lens. Some people may think that going for an eye examination is unnecessary. Some even have the misconception that short-sightedness power will increase once you wear astigmatic correction (toric) lens (I was told by the previous eye care professional!) It’s not true! With my recent eye examination, not only did I bust the myth but I realized the importance of choosing the right lens. When choosing your contact lens, you should check this out. 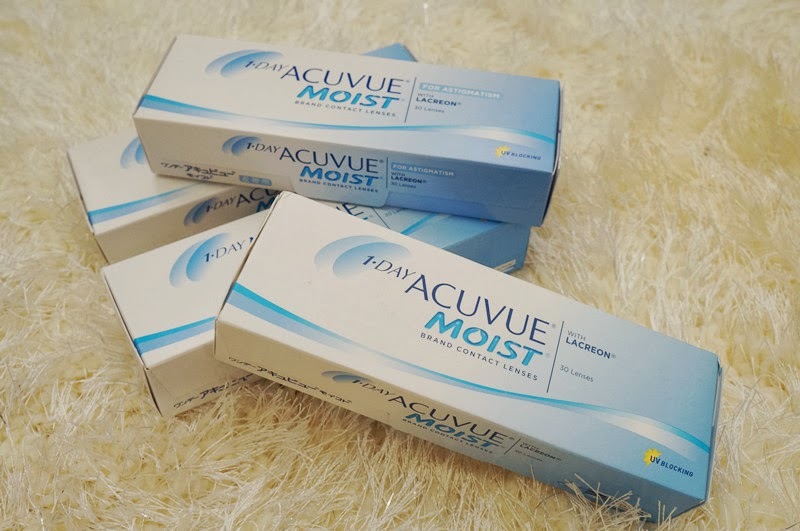 This is what I wear personally- 1•DAY ACUVUE® MOIST® for ASTIGMATISM which comes with Triple Care properties as it provides some of the most important qualities such as, Moisture, Oxygen and UV protection to keep your eyes healthy and comfortable. After my eye-examination, I was prescribed with 1•DAY ACUVUE® MOIST® for ASTIGMATISM. After wearing them for a few days, I can notice the difference and benefits of the lens. To be honest, it is really comfortable as I don’t even feel the lens, like I am not wearing anything at all. Not only do I get crisp and clear vision, but also HEALTHY eyes! The contact lenses are more breathable, ensuring your eyes get sufficient oxygen throughout the day. It’s so important! With ACUVUE® Triple Care benefits, now I don’t experience dry and tired eyes anymore. I can concentrate on my daily tasks easily. The best part is at the end of a long day, I’m glad to be able to throw my contact lenses away instead of taking time to clean and store them. I just love that feeling to start my day with a new pair of contact lenses! Say no to painful eye infections, caused by the build-up of lens deposits and bacteria contamination inside the lens case, which is commonly found especially when you wear reusable monthly lens. 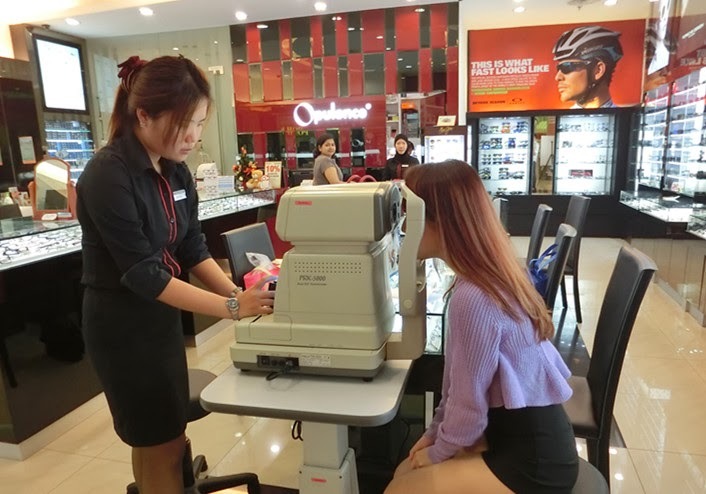 Now you’ve learnt about the importance of correcting astigmatism and choosing the right toric lens. Say no to astigmatism as it affects your quality of life and let’s beat the blur with ACUVUE! Not only will you enjoy crisp and clear vision, but also HEALTHY eyes! Good news for everyone who are reading this! There’s a 5 days consecutive trial for everyone, you can visit www.acuvue.com.my/beattheblur to sign up for the trial today! Spread the joy of having crisp and healthy vision today to your loved ones and friends!